“Wisteria, run!” Rebecca O’Leary screamed over the radio. Wisteria Kuti whipped around and came face-to-face with the blood-red eyes of a hungry flesh-eating biter. The biter was a man, infected by Nero Disease, who had long lost his mind. He looked more animal than human and he wanted one thing—to feed on the flesh of uninfected people. The biter growled and staggered toward Wisteria. She fled down the deserted road to the nearest house. The front door was locked. She kicked at the door, but it didn’t open. Taking out her handgun, she smashed through the window of the door. “Ugh,” more biters growled behind her. She spun around, fired once, and hit one in the head. She unlocked the door by reaching in and turning the lock. Once inside, she chained and bolted the door. Crash—a biter smashed through another window into the house. Wisteria’s heart jumped and she darted up the stairs as fast as she could. “Get out of the house, Wisteria!” Rebecca radioed. A biter grabbed her ankle as she ran. Falling hard on the steps, she wailed in pain. “Ah.” No time to cry, Wisteria. She fired at the biter holding her. One bullet left. Three more biters appeared below and started coming up the stairs. Leaping up, she sprinted to the top floor and dashed into the first open doorway that led to the master bedroom. Locking the door, she headed straight for the window. The infected clawed at the door, tearing it apart and snarling as they entered. Trying to open the window, she found it was stuck and the panes were too small to fit through. She pulled harder—nothing. Then she heard the biters’ cries. They were now in the room with her. “Just hold on,” Rebecca said over the handheld radio. Wisteria fired at a biter. The bullet went through one and hit another—two fell. She fired again. Click. No bullets. “Wonderful.” She stoned the biter with her useless weapon, but that had no effect. Noticing a red-handled samurai sword in the corner of the room, she dove for it. Another biter entered the room. She took the sword out of the sheath and pointed it at the approaching biters. The blade trembled in her grip, and then there was a gunshot… two more biters fell. Thirty-something Lara Kuti stood in the doorway with two handguns trained on Wisteria, which she slowly lowered. “Wisteria, what the hell are you doing here?” the older woman seethed. “I was cleared to work,” she explained to her mother. “Major Coles cleared me.” Wisteria shook her head. “Coles knew?” Her mother’s eyes thinned at the mention of Coles. Something moved in the corridor. Her mother whipped out her handguns and aimed them at the door. “You sent her out here alone?” Wisteria’s mother didn’t lower her weapons. “You almost got her killed.” Her mother ignored Wisteria. “Whatever, Lara.” Rebecca tried to sound nonchalant, though she did look rattled by Lara’s fierce words. Turning away, Wisteria cautiously made her way through the quiet house. Bodies of cured biters lay motionless on the ground. Making her way down the stairs, she saw a tall brown haired man at the front door, Lieutenant Andrew McDowell, her mother’s patrol partner. He shook his head and chuckled when he saw her. Still without a word, Wisteria walked toward him and out the front door. She felt like such a fool. “Hell of a first day,” Andrew commented as he followed her. He then unlocked the backdoor of the battered SUV they used for patrols. “I messed up,” Wisteria replied nervously and slid inside. She felt foolish because her mother had had to rescue her. Wisteria wanted to be a tracker to prove she could take care of herself. “So, Coles agreed to this, knowing you’re only fourteen?” Andrew frowned and took her firearm from her. It was partly true—he had agreed, Wisteria thought to herself without answering him. She’d convinced Major Coles that she was sixteen. “Summertime, boys and girls,” the gravelly voice of Jake, the controller, crackled on the radio that was on the dashboard of the beaten up and much abused SUV. 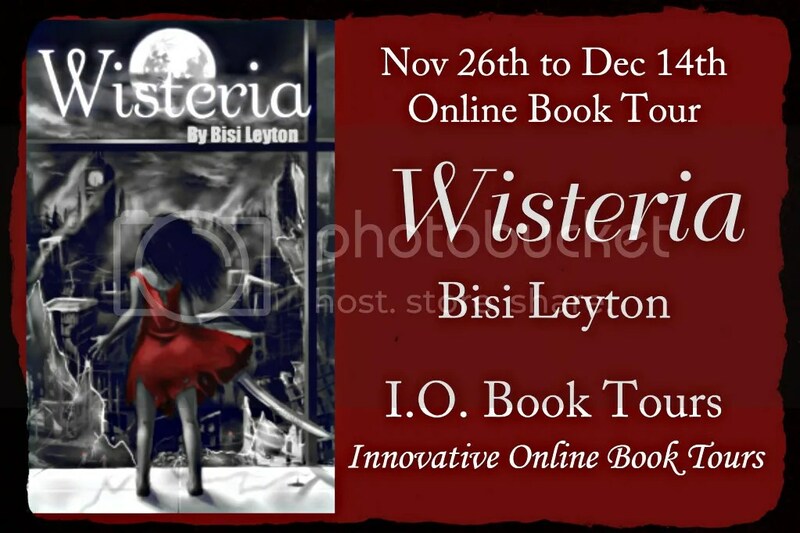 Sixteen-year-old Wisteria was now assigned to be a tracker on her mother’s team. She reached out to answer the radio from the back seat, but her mother reached it first. “Jake, you start singing and I’ll boil your face in oil when I get back,” her mother replied. The three of them were parked in front of Green Heart Pharmacy and they sat in silence. Wisteria watched through the iron mesh that used to be the rear window. As a tracker, she monitored the number of biters around the Isle of Smythe. The epidemiologists and other scientists on the island told the trackers where to look and tried to predict the biters’ movements. Usually, they were wrong, but the trackers were still able to collect valuable information about the biters and monitor their activity level. The hope was that one day, perhaps far into the future, people could start living on Norton again. Today, she was tasked with photographing any infected. For some reason, the doctors on the Isle of Smythe needed them. Things were quiet today. They hadn’t seen a soul, living or dead, in Norton. “Okay, darling, I’ll stop singing if you’ll have dinner with me tonight,” Jake teased. Wisteria knew Jake said this to wind her mother up and it always worked. “Give me the damn radio,” her mother demanded from Andrew. “Jake,” Andrew spoke into the radio as he continued to scan his side of the street. “Lara says she’d love nothing more than to go out with you.” Andrew snickered. Being on the outside terrified Wisteria and she couldn’t laugh. Their weapons wouldn’t provide enough protection if a lot of biters swarmed. She learned to keep cool, but how Andrew found the levity to joke amazed her. She guessed it was because of his twelve years in the army. They all crouched lower in the SUV. Wisteria focused her attention on the area behind them. Her trained gaze steadily centered through the caged rear window. The blood in her body rushed to her head as she braced herself. She double-checked that her rifle and sword were by her side. There was another crash and a dog ran past. A woman emerged from an alley behind the vehicle, dressed in filthy rags, her hair caked with dirt. Limping toward them, with a blank expression and blood-red eyes, her putrid stench filled the air. No, this wasn’t a woman. It was the flesher of a woman, a biter, and as it moved closer, the hairs on Wisteria’s neck stood on end. “I know,” she whispered back to her mother. Containing her fear, she focused on the approaching biter. “You’ll be fine,” Andrew calmly encouraged. Wisteria knew her job, but Andrew’s relaxed tone made her feel even surer of herself. Steadying her camera, she photographed the woman’s features. “I have it, Mum.” Wisteria tossed him the camera and collected the rifle next to her. “The sound of a gun will attract biters from miles away,” her mother lectured. “I just grabbed the wrong one by mistake,” Wisteria admitted. “I know what I’m doing.” She aimed the rifle and fired it out through the rear window’s iron mesh. Instead of bullets, a cyanide dart shot out, hitting the biter in the head. The flesher marched defiantly forward, refusing to fall, but then collapsed. Wisteria sighed heavily. She was already watching the left side and didn’t need to be reminded. She began to question her decision to be a tracker for the third time that day. They sped through Norton, moving past empty playgrounds, backyards, and abandoned vehicles. This was once home to fifteen thousand people, but now it was derelict. Only trackers from the Isle of Smythe and the occasional refugees passed through the town—and the biters. A long drive later, they came to a narrow bridge. At the foot of the bridge was an iron gate, covered in barbed wire. Andrew radioed to Jake and less than a minute later, the gate opened. They drove across a barbed wire bridge while under the hardened gaze of armed guards. At the end of the bridge was a massive wall. Squinting, she could make out several soldiers on top, watching them with their weapons trained on them. After waiting for several minutes, the gigantic gates of the inner wall opened and revealed a dingy, granite mining town that was the Isle of Smythe. They drove past the rows of run-down houses, navigating over potholes. The so-called road was lined with the skeletons of rusted cars. Even before Nero, the Isle of Smythe was this way, according to Rebecca, who had lived on the island for fifteen years. She said, Smythe was a dump then and was even a bigger dump now. As usual, there were very few people outside. Wisteria counted four. They parked at the front of an old bank. This was the trackers’ station where most of their ammunition and supplies were stored. The entire structure was now covered in sheets of metal and a fence was erected around the parking lot. “I’ll work on it.” She started to leave. On every trip over the last months, something always went wrong. Andrew was such a nice guy. If she’d been a lot older and if he wasn’t Major Elliot Coles’s only friend, she might’ve stood a chance with him. “I’ve got homework and you’ve got a debriefing with Major Coles.” At his smile and friendly encouragement, she suddenly became self-conscious. Turning away, she strolled out of the gate and made her way along the muddy road. She jumped around the massive potholes that were now filled with black water from the morning rain. “Watch where you’re going,” Keith Wicks, her neighbor, yelled as she nearly ran into a sheep. The older man was crossing with a small flock of them. “Sorry, Mr. Wicks,” Wisteria replied. “Bloody refugees,” he muttered as he moved along. Wisteria wasn’t originally from the Isle of Smythe. She was one of about seven hundred refugees who arrived here in the last three years to escape the biters. Some of Smythe’s locals resented the migrants, but most were just glad to be alive. The next morning was a school day. Like all the under-eighteens in Smythe, she had to be in class. At nine o’clock, Wisteria was on her window seat in the crammed classroom. The school was just an ordinary house used as a school. The old schools were in Norton and now only the biters hung out there. This meant the younger students and pupils were crammed into this makeshift building. It was like most of the buildings—in desperate need of repair. Several of the windows were broken and replaced by wooden panels. Many of the ceiling panels were missing. There were even holes in the roof and the walls. Handwritten graffiti covered the walls, and even after several attempts to scrub it off, it still remained. The room needed to be repainted, but that was a luxury. “Ladies and gentlemen, I need you to quiet down. As part of your reward for all your hard work, I’m giving you a test,” Mr. Silas Cheung, the mathematics teacher, announced to the year eleven class. He scribbled the test over the black square on the wall, which served as their blackboard. “Steven, if you want to leave by all means, get out of my class.” Apparently annoyed, Mr. Cheung pointed to the door. “Are you afraid?” The teacher asked. The younger man got to his feet, glanced over at Wisteria, and then winked at her. She quickly looked away from his hypnotic blue eyes. “Does anyone else want to join Mr. Hindle on his crusade?” the man asked the class. Wisteria wanted to leave with him. Maybe they would be able to spend time together, and then he would tell her how beautiful she was. She laughed at her foolishness, because she couldn’t compare to Steven’s girlfriend, Hailey Davenport. Hailey was simply beautiful. She glanced at Hailey and her friends—Karen, Melissa and Yvette—as they sat together at the back of the class. Hailey’s light gray eyes shot from Steven over to Wisteria and her pretty face briefly reflected a frown. Wisteria on the other hand was short, shapely, and dark with black hair and very dark eyes. “Hindle, what are you waiting for? Get out of my class,” Mr. Cheung repeated. “You can’t talk to us like that,” Gareth Hubbard, Steven’s best friend, piped in. “Really, Gareth?” the man asked. “Yeah, you shouldn’t.” Steven continued his defiance. Cheung walked up to Steven and stopped when he was about a foot away. Though man was shorter than Steven, but he didn’t look intimidated. This was unusual, because Steven’s father, Tom Hindle, was one of the senior scientists in the town. His father ran the quarantine center and was part of a group still trying to find a cure. He was also on the leadership council and this made Steven as untouchable as any student could be. Most teachers treated him and other children of the island’s leadership with kid gloves. They could get away with anything expect missing school; not even Steven could do that. The number two rule in the Isle of Smythe was to earn their keep. This meant everyone had a job and one of their jobs was to go to school. The number one rule was to follow the rules. Break the rules and you’d be leaving the Isle of Smythe. They all had seen what had happened to the Nelsons. No one wanted to face a life outside. “Mr. Cheung, those biters don’t scare me,” Steven boasted. “Hindle, have you ever seen the infected?” The teacher raised a brow in disbelief. Steven’s rebellion was futile, but it endeared him to his classmates and to her. He was a native of the town and not a refugee. Some locals never went outside since the Nero outbreak. In her heart, Wisteria knew he’d be less pompous if he understood what the outside really looked like. “Give me a shotgun and I’ll be fine,” Steven continued to brag. A couple of the students cheered. 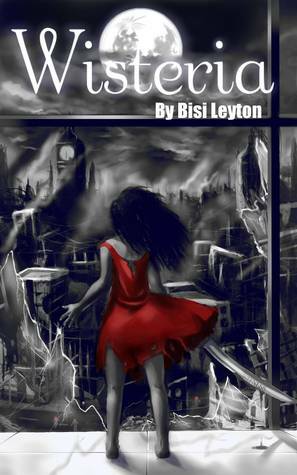 In the days following the outbreak, Wisteria, her mother, and her brother travelled from Dover to Norton. On a normal day, the journey took an hour and a half, but it took them over three months to make it through. Those were the dark days. She shuddered at the memory of those days and nights of continual screaming by people she knew who were turning into biters or being dragged away at night. Going to school was like going on vacation for her when they first arrived, but that was before she’d met Hailey. Now, she was stuck here. In her heart she wanted to believe that she wasn’t going to be in the Isle of Smythe forever. One day, all this madness would blow over and she would be able to return to Lagos…to her real life. This was why she needed to be a tracker; it was a job that taught her how to take care of herself on the outside, ensuring that when the family was ready to leave, she’d survive. Steven slammed his book on the table and dropped into his seat. Victorious, Mr. Cheung smirked and returned to the blackboard. “Don’t worry; I’m not going anywhere,” Steven whispered to her. Wisteria ignored them both. They weren’t actually her friends. Most days, she didn’t operate in the same universe as Steven or Gareth. “She wants you to kick her out of the class with Steven,” Yvette said with a slight French accent. “Make all her dreams come true,” Melissa Abner added with a snort. “Come on Karen, she’s not that desperate,” Hailey responded sympathetically. The rest of the class, including Steven, erupted into laughter. In the two and a half years that she’d lived in Smythe, her crush on Steven was a never-ending source of ridicule. Trying to ignore them, she focused her attention on her notebook and scribbled the words, Colista-Bren-Navida-Dor-Elson over and over. She didn’t know what the words meant, but they gave her comfort. Eighteen-year-old Bach looked down from the penthouse balcony of the once-bustling Hunter Tower in Central London. Thirty-one floors below, several of the infected Terrans, or humans, as they preferred to be called, moved through the streets. Why the Terrans created such a sickness astonished Bach. Eighty percent of the population was infected or dead. The infected were now turning on the few who managed to escape the infection. Bach’s people, the Family, looked similar to the Terrans. The similarities were only superficial. He considered the Terrans to be even worse than the infected. But in a way, he was glad he was here. It was expected that before any male of the Family turned nineteen, they must complete the Great Walk, a thousand day experience away from their home. Granted, Bach did not have to leave his home realm to go to the human’s realm. He could’ve gone to one that didn’t require journeying across the different plains of existence, but he’d come to Terra because he wanted to see this world die. He’d had a horrendous experience with Terrans as a child, around the time his mother died. Now, over a year after arriving into the center of the madness, Bach was tired and bored. He thought the Terrans would be gone by now, but a few of them still held on. “How many?” Enric, his friend asked, as he joined him. “Almost one for each spot on your arm.” He flicked Bach’s arm. “My shana are not spots.” Bach remarked. “Yes, I know. They are birthmarks that move,” Enric recited. Bach had a trail of black marks that ran from his shoulder down past his elbows and disappeared somewhere on his forearms. This was something he and his brothers inherited from their mother. “They do not move,” Bach corrected him. Enric’s Terran, Piper, was unstable to say the least. He renewed her shortly after they arrived; she was his first Thayn. Unfortunately, she didn’t turn out right as he’d done it without having the necessary knowledge. He wouldn’t receive the knowledge until he ascended to the Ino caste after the Great Walk. “Enric, I do not want Terrans around me,” Bach said angrily. “No, she would effectively be my Thayn, once you have directed her to serve me,” Enric said. “I do not want Terrans around me,” Bach repeated. “I am sick of this, Bach. Piper has been here for months and you appear fine,” Enric retorted. Bach rarely saw Piper. Enric had the sense to keep her away from him. “He is only part Terran and completely one of us.” Bach rubbed his temples in frustration. No one spoke about Felip’s mixed heritage. Enric found out during the long walk because Felip required a greater amount of obsidian coral for the journey. Enric initial reaction had been revulsion, but over the last four hundred days, it had improved to irritation. Bach didn’t know how much Terran was in Felip, but he looked like the rest of the Family, except for his eyes. They weren’t pure green as was the case with the rest of the Family. His green eyes had brown speckles, something his Terran ancestor left with him. “Only the Family can take the Great Walk. Felip would not even be here if he was not one of us,” Bach continued. That wasn’t entirely true. Bach saw no Terran in Felip and treated him like the Family. Only when Felip completed the Great Walk would he be considered Family in every sense and by everyone. And no one would call Felip a mongrel. Bach was amazed that Felip was so relaxed. He would’ve thrown Enric off the side of the building if he’d said that to him. A fall off the Hunter Tower wouldn’t hurt Enric, but it would get his annoying friend out of his face, at least for the moment. “Piper might be the last Terran we see for months,” Felip replied. “This is going to be a very dull walk. I do not see why they believe this will convert you into a man.” Enric groaned. “You decide what I need to know?” Enric glared. “No, I will,” Bach retorted. Enric nodded and walked out without a word. “How is he?” Bach watched the glass door close behind Enric. “Because, I know how much it infuriates him.” Felip smirked as he walked back and forth on the railing. “You need to be careful that Enric does not break your arms.” Bach laughed. “He might be strong, but I am smarter.” Felip slumped, but Bach caught him before he fell over the side. The Family used portals, called thresholds, to travel to their realm. Journeying through thresholds drained every one of their essences. The only way to make it through safely was by carrying a certain amount of obsidian coral. Travelling without it promised a painful and prolonged death. “I thought I would be fine,” Felip slurred. Bach was not comfortable with his answer. His friend looked pale, but he was right. He needed to regenerate. “Felip, this conversation is over. Please go and get some rest.” He ushered his friend into the penthouse. 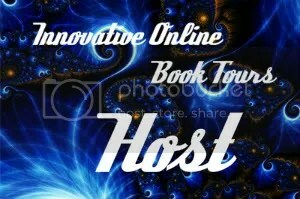 Posted on December 13, 2012, in book tour, books, promo, reading. Bookmark the permalink. Leave a comment.